In this video tutorial we will show you how to photoshop sticky note. Launch the Adobe Photoshop. Go to the “File” menu, press “New” and press “Ok” to create clear sheet. Then click on the “Create New Layer” icon. 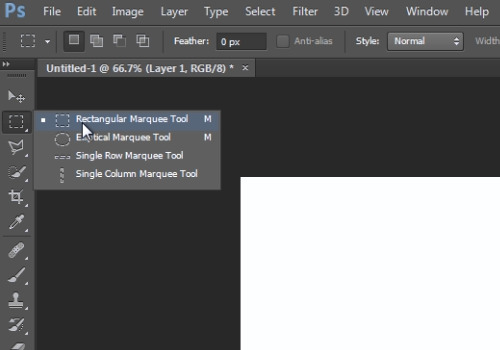 Choose the “Rectangular Marquee Tool”. Hold the “Shift” key and draw a symmetrical square. Then select the “Paint Bucket Tool”. Click on the “Set foreground color”, pick a yellow color from the color pallet, press “OK” and colorize the square. Then right-click on the copied layer, choose “Duplicate Layer” option and press “OK”. Go to the “Edit” menu and choose the “Free Transform” option. Adjust a rectangular and press “Check” button. Go to the “Blend Mode” menu and select the “Multiply” option. 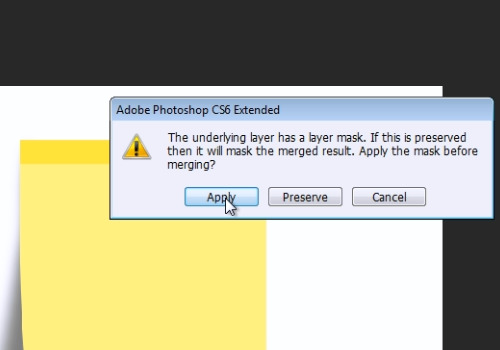 Right-click on the “Layer 1 copy” and choose the “Merge Down”. Then, hold the “Ctrl” key and click on the layer square to select the main square on the sheet. 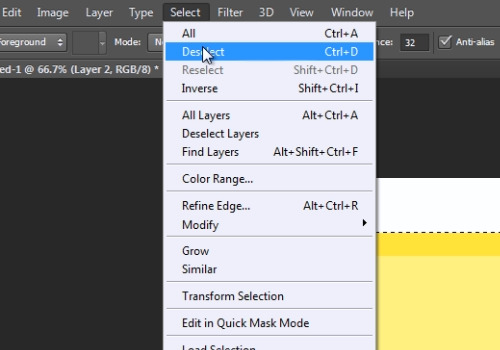 Click on the background layer and press on the “Create New Layer” icon. Then click on the “Set foreground color” icon, pick a black color and press “OK”. Colorize the layer square into the black color. Go to the “Select” menu and choose “Deselect” option. Go to “Filter” menu, select the “Blur” and choose the “Gaussian Blur” option from the submenu. In the “Gaussian Blur” window set the Radius value to about “9.5” and press “OK”. 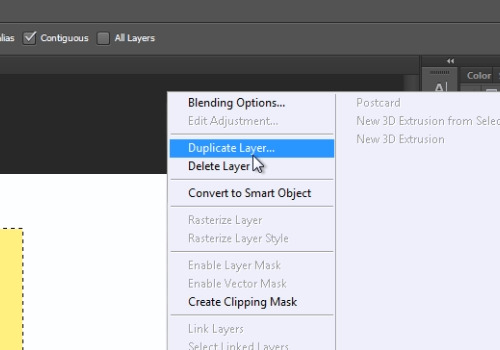 On the selected “Layer 2”, click on the “Add vector mask” icon. Then choose the “Brush tool” and with the selected black color draw the edges of the sticky note to erase them. Go to the “Edit” menu, choose the “Transform” option and select the “Warp” option. Adjust the shadow from the sticky note. When it’s done, press the “Check” button. Then click on the “layer 1”. 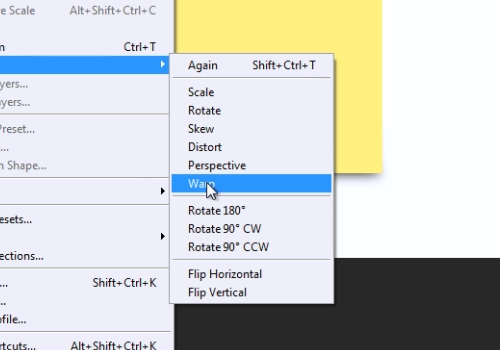 Go to “Edit” menu, select the “Transform” option and choose the “Warp” option from submenu. Adjust the sheet form. When it’s done, press the “Check” button. Then click on the “Layer 2” and adjust the “Opacity”. Then, right-click on “Layer 1” and choose the “Merge down” option. In the following warning message, press the “Apply” button. 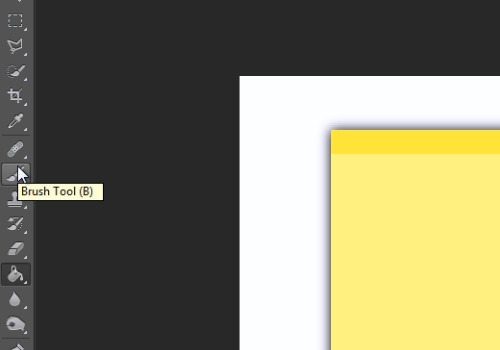 Select the “Move tool” from the toolbar and move your sticky note wherever you need to.